Comics are confusing. The big two (DC and Marvel) are probably the main two examples of this problem. Although, Zenescope’s Grimm Universe is getting there, too. Either way, it can get really easy to get lost in comic continuity. There are so many things happening in so many books all at the same time. Most people cannot (nor would they want to) read all of the books in any universe. So, I figure, why not help each other out! Whenever I come across something in what I read that is not covered in those same books, I am going to talk about it here! Any feedback from any of you that read the books that cover these holes would be very welcome. If any of you have questions about your own comic confusions, bring them here! I am sure we can figure stuff out together. For my first confusion, who better to turn to than Wolverine? He is in SO many books. Many people have even gone off Wolverine because of his over saturation in Marvel. I love Wolverine, but I do not read all of his titles. I do not read his solo titles and it is almost impossible for me to read everything he is in. I am, therefore, bound to miss something. Recently in the comics, Wolverine’s healing factor has stopped working, but clearly it is working at least a little since he is not getting adamantium poisoning. I noticed this a couple of times, but only really questioned it when Cyclops brought it up in a recent issue of Wolverine and the X-Men. So, where did it go? A quick read of wikipedia says that Wolverine has contracted a nanite virus. While his healing factor deals with this problem, he is susceptible to injuries. Presumably he still would not die permanently, since his healing factor would still deal with the virus then fix his death. From a few more searches (and my accidental perusing of these comics in the store since Kitty was on the cover), this seems to have happened in the “Killable” story arc. I think I may pick up this storyline. It could be an important plot point. Assuming they decide to keep it, which is not a Marvel strong suite. 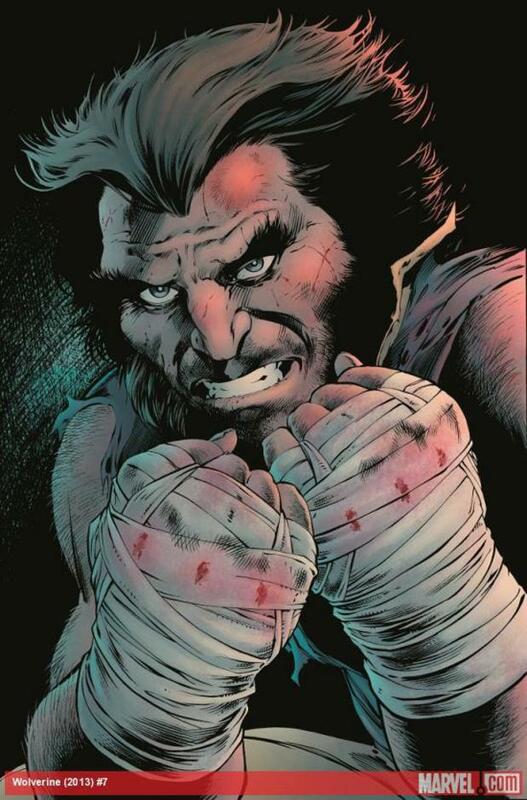 Seeing Wolverine need to deal with no longer being immortal could be interesting. According to Cyclops, though, he is still fighting as if he is invulnerable. Doesn’t sound like he is adjusting too well. However, I will be furious if they kill of Wolverine just as I get back Nightcrawler. I have not gotten to see them interact much, since Nightcrawler died just as I started reading comics. Their relationship is really something I want to see! This entry was posted in Uncategorized and tagged comics, killable, lost in comics, wolverine, wolverine and the x-men, x-men. Bookmark the permalink.